Fisch's 'Colombier' bikini top has a sporty silhouette reminiscent of '90s styles. 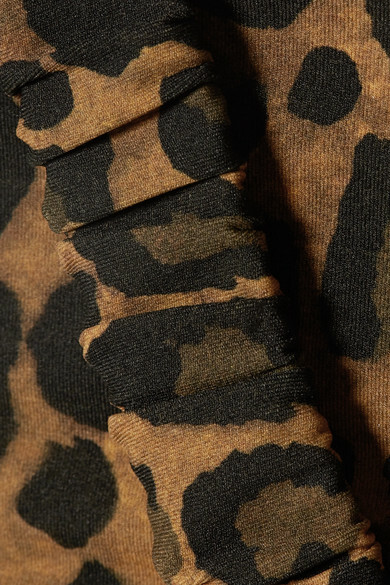 Handmade in Italy from recycled stretch fabric, this leopard-print piece has scrunched, elasticated shoulder straps that provide comfortable support for the perfect fit. Wear it on vacation with the matching briefs. Wear it with: George Keburia Sunglasses, Loren Stewart Necklace.